Villagers of Sauvakarua in Navatusila District, Navosa, say infrastructure development in the eight villages within their district have been realised under the FijiFirst Government. This is after Prime Minister Voreqe Bainimarama and a team of Government officials braved rough terrain yesterday under scorching heat to visit the village located deep in the mountain ranges of Navosa Province. The village consists of 120 households. Village elder Marika Botitu, 63, said the whole village was excited when people heard Mr Bainimarama would visit. “This is the first time for the village to receive a prime minister and his delegation,” he said. “I can still remember previous governments during Rabuka and Qarase’s time they would only come to visit our district when elections is around the corner. 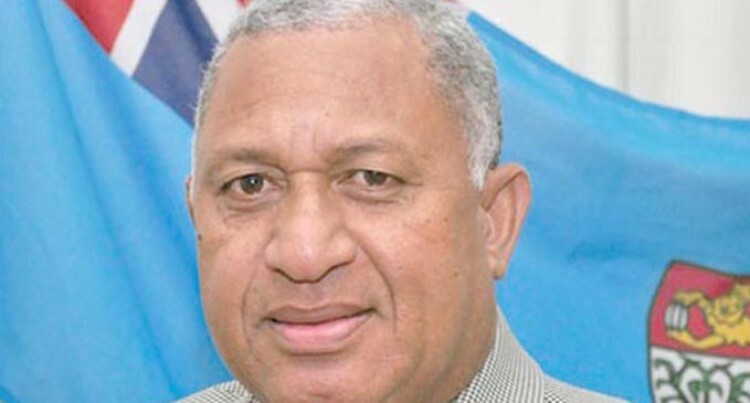 “Previous leaders will come, promise us they will make roads accessible, fix our water problems and even our electricity, but now Mr Bainimarama has done it,” he added. Mr Botitu said that their cries for better roads were realised under the Bainimarama Government in 2016. “Before we used to walk more than five hours in rough terrain to reach the village. The previous political leaders used to lie to us, only make promises when they wanted us to vote for them during elections,” he added. Mr Bainimarama reminded the villagers that Government would help them in any way possible. Village headman Filipe Roko, 41, said it was under the Bainimarama Government that the eight villages of Navatusila District were accessible by road. “This is the kind of leader we want, one who has the time to come down to people who are struggling to make ends meet on a daily basis. “During our village meeting we were told that the prime minister would be visiting our village. We were all excited to see him,” he added.